For over 15 years Sian Baxter Lighting Design has been designing beautiful lighting schemes for residential and commercial properties in the UK, Europe and the USA. Based in Putney, we are a small and personal consultancy led by Sian Baxter who is a perfectionist and very enthusiastic about the transformative power of light; ‘It still makes me smile when I see one of my lighting schemes come to life and utterly transform a space’. 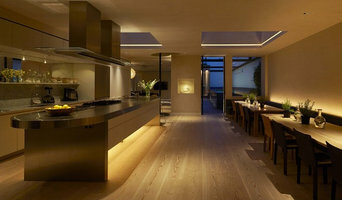 Our award winning consultancy designs lighting schemes for homes, gardens, restaurants, hotels, spas and retail spaces. Our lighting schemes are carefully considered, subtle, sympathetic, functionally effective and use the latest energy efficient technology. A significant percentage of our business comes from returning clients who have moved home or premises, expanded their business or property or passed our details onto their children. As an independent lighting design consultancy we provide impartial advice on the most appropriate lights to use. We source architectural and decorative lights from a variety of suppliers across the UK and Europe. We also design bespoke decorative lights where something special is needed. When you build a home, there are many questions about lifestyle-technology: What should I use? Who will design it and oversee the process of installation? This is what we do at AVINU. When we started 11 years ago technology in homes was growing slowly then the advent of broadband, WifI, iPhone culture took off and we have organically grown to support the residential construction industry. Our non-biased consultative approach to support our clients to make informed choices. AVINU are a team of experts who are passionate about 'lifestyle technology' in homes; this includes intelligent lighting & heating, TV, music and home cinema, security and access control, all designed and installed to reflect how we live in our homes. We are a passionate team of individuals working together to make our clients vision a reality - we achieve massive satisfaction when a project has come together and our clients are happy with the results. No matter what size project, our clients will receive from us: Clarity, Cohesion and Support which ultimately delivers wonderful home environments. Situated in Berkshire and working throughout the UK. We have designed and delivered many wonderful projects throughout London, Oxfordshire and the home counties - as well as 4 in the South of France. We love high-footfall areas such as the kitchen-diner, and of course snug spaces where you can kick back and relax. Whether having breakfast, entertaining or just relaxing in your home, we will ensure you have comfort and control throughout. With AVINU supporting your project, you can relax knowing you are in safe professional hands; you'll have clarity on what you need and what things cost. We don't expect you to be into technology or gadgets; you just need to tell us how you wish to live in your home! We'll do the rest… allow us to bring Clarity, Cohesion and Support which ultimately delivers wonderful home environments. Get in touch with us today! For over 35 years John Cullen has been the leading name in discreet lighting offering a complete service for all aspects of interior and exterior lighting for the contemporary, traditional and energy efficient home. Our award winning lighting design service produces creative lighting schemes from simple one-room solutions to whole houses and gardens. Our unique collection of LED fittings, designed in-house and manufactured in the UK includes the latest energy efficient options. Our spectacular showroom showcases the latest in lighting technology in a cutting-edge space featuring “The John Cullen House” with 14 room sets and a unique custom-built lighting pod. We offer a series of Lighting Master Classes and RIBA accredited CPDs for those looking to learn more about lighting. Our discreet range includes energy efficient LED options across recessed downlights, spotlights, uplighting, wall and floor washing, shelf and picture lighting, garden and exterior lighting. Learn more by visiting our website at www.johncullenlighting.com. 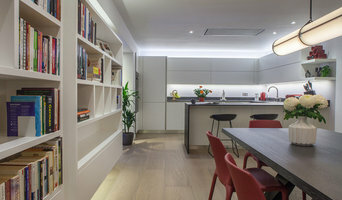 Lighting By Design is an experienced lighting design and home automation company, mainly specialising in residential properties throughout London and the UK. We're a hardworking and dedicated design team, supported by a network of engineers & technicians who share our passion for lighting and the way it relates to architecture and lifestyles. Our team are also experts in WiFi based solutions that allow total control of lighting and home automation via smartphone and tablets. Get in touch with us today to discuss your next project! Clartés Bohemia is a family enterprise which does bespoke projects in the UK. We run a glass factory which was founded in 1905 making it one of the oldest factories in Central Europe. It is located in a picturesque countryside in the North of Bohemia and it took French engineers of the Eiffel Tower to develop the steel structures of the factory building. Lately, we have expanded our factory with 2 new metal processing workshops securing a full control over our processes and independence of other suppliers down the chain. Our company primarily focuses on designing and manufacturing bespoke chandeliers, but we also consider ourselves experts in the fabrication of any products combining glass and metal. With our skills polished to perfection over the years, you can be sure of receiving a smooth personal care leading your project to a successful outcome. Welcome to Mr Resistor lighting specialists, established in 1968, we offer a wide range of lighting products, controls and electrical components. We also offer a lighting design service, based in our Wandsworth head office our lighting design team can provide a fully independent design and supply service for all your lighting design needs. Established, creative and independent lighting designer working in the residential, retail and commercial sectors. Claire approaches each project on an individual basis from concept to completion. She collaborates with architects, interior designers and end users to create unique, subtle lighting schemes that delight her clients. As an independent lighting designer, Claire utilises her product knowledge to offer unbiased advice and is able to suggest products according to individual budgets and requirements. Today Rocco Borghese continues the family tradition , designing individual artistic and contemporary pieces that are unique for each client. Each piece is shipped with a signed certificate of authenticity for insurance and valuation purposes. Rocco Borghese combines an instinctive Italian understanding of style and design with the skill and passion of an artisan. Born in Southern Italy, Rocco began his career working with his glass sculptor father in their family-run studio and workshop. ‘The Borghese furnace”, as it was known, became synonymous in the local region and amongst its customers for its excellent and individual glass work. The family had already established a foothold in the UK by this time and Rocco was attending school both in Italy and the UK from an early age. In his twenties Rocco with his ambition and love for glass, decided to start his own glass blowing business, Rocco resided in London to study architecture with interior design. Following his graduation Rocco began his first lighting business, creating custom made lights using neon. After many years he began working exclusively in Murano glass, moving away from more commercial projects in favour of developing his lights as art pieces. Rocco eventually opened Borghese Luce Arte in Crouch End, with another shop in London’s affluent Kings Road in Chelsea equipped with workshops to create his unique art-light pieces. The main larger pieces are still created in northern Italy, Venezia in Mestre in his family’s foundary as they have since 1860. Rocco’s work has established a growing following amongst interior designers and his client base includes many well-known names. His designs have been featured on Channel 4’s ‘Grand Designs’ and are sold through Selfridges, Harrods and a number of boutiques in London’s Mayfair. Porta Romana began life in 1988 in a tiny London workshop. From the beginning, the ambition was to create beautiful and inspiring pieces that would be loved. Good fortune came in finding skilled British craftspeople to create those quirky and original designs. The Porta Romana style and design language has continuously evolved over the following quarter century to become a leading global brand, and a critical ingredient in the world’s most beautiful houses, yachts, hotels and movie sets. We still work with many of our original artisans, and continue to seek out the next artistic talent, to help breathe fresh life into our collections. My name is Janis Haves, I design and make all the lamps and chandeliers you see here and lots more besides. It's not hard to become addicted to working in glass. To say it changes the way you see the world doesn't even begin to describe it and it certainly never fails to work its magic on me. Whether it be the blues that describe skies and oceans and streams, the yellows and oranges that burst with juicy citrus optimism or the shades of woodland green, dappled with sunlight and summer. Of course, don't forget those unashamed reds and decadent violets and purples. I started working in glass almost by accident. With a 10 year history as an interior designer it wasn't a big jump to making the lights I most wanted to see, but couldn't find anywhere. I'm often asked what the inspiration behind Lovers Lights was. I can only say colour. Something amazing happens when you turn on the light behind the colour, it is in fact inspirational all on its own and trust me - it's hard not to fall in love! Light Visuals design and manufacture a range of high-end innovative lighting products for gardens and outdoor spaces. Our products are packed full of key features to assist the designer, installer and end user. We're so confident in the design of our products that we even offer a 10 year warranty across all of our luminaires, including our UV stable powder coated fixtures. Some of our key features include proprietary replaceable LED modules, colour coded interchangeable optics, anti-wicking barriers, IP68 (submersible) ratings, 10 year warranty and open circuit protection (series wired). All of our products are designed in-house and manufactured in the U.K. Light Visuals are also specialists in supplying stunning exterior lighting schemes for gardens and landscapes of all sizes. We have had the privilege of working in some of the most amazing gardens over the years, and one garden in particular was even designed by Capability Brown, or one of his disciples. Our exterior lighting designs cover all areas from softscape illumination of plantings and flower beds, through to the hardscape lighting of steps, paths, walls and structures. We have also built up a portfolio of home exterior architectural lighting designs, and examples of these can be viewed in our Exterior Architectural Lighting Portfolio. At Light Visuals, we have built a reputation for supplying unique installations coupled with creative installation methods, designed for superior length of life and exceptionally low maintenance/running costs. Light Visuals have a small but dedicated team of specialist designers and installers who would be more than happy to assist you in your existing, or upcoming projects. Our in-house electrical contractors are fully qualified to the current IEE wiring regulations, and are registered with the NICEIC. This small team of electricians are friendly, tidy, and highly skilled operatives who fully understand the requirements of installation of electrical equipment in an exterior environment. Futhermore, they are very considerate when working in and around fragile plantings. We love light. We understand light. We know how light can guide and focus attention. Most importantly, we understand how light affects people. Our residential lighting design service provides beautiful energy efficient lighting for your home. We understand homes are so much more than bricks and mortar, so we use the emotional impact of light to create spaces that are comfortable, flexible, and beautiful. At Industville, we specialise in producing unique industrial vintage reproduction style lighting and furniture. All of our products are hand-finished by skilled craftsman to ensure each item remains unique and stays true to the look and appeal of the vintage originals. Crucially we offer this industrial and vintage look without the hassle, inconvenience or cost of sourcing originals. We pride ourselves in providing a quality service with all of our products available in large quantities, at competitive prices. We have collaborated with a variety of distinguished retail, leisure and hospitality companies such as Jamie Oliver’s Restaurants, Waterstones, Costa Coffee, Pizza Express, Ask Italian, Zizzi, Café Nero and Lush in addition to smaller scale interior projects and retail customers. Our full collection can be viewed on our website, www.industville.co.uk or in our London based showroom, where our experienced advisors will help you find the right look for your project. Please do get in touch if you require any further information or to discuss your design objectives. Expert craftspeople designing decorative lighting and custom lampshades for exquisite interiors from our London studio. Moonlight Design Ltd is a dedicated UK garden lighting design company based in London. Thoughtful and professionally installed outdoor lighting adds night-time drama all gardens. Garden lighting creates warmth and beauty that will only be appreciated if the scheme is carfefully designed and installed by a company that has the experience, expertise and passion for what they do. 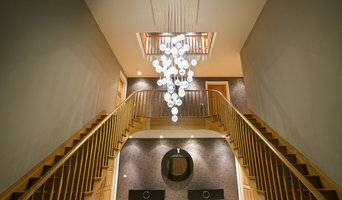 Moonlight Design is one of the leading lighting design and installation company's in the UK. Our highly skilled electricians are dedicated to installing quality schemes that offer longevity and enjoyment for years to come. All Moonlight Design installations are Part P certified to acknowledge that their work conforms to the latest electrical regulations. Moonlight Design is a NICEIC Approved contractor. What can a lighting designer do? Apart from actually designing and creating lights, a lighting designer, or lighting specialist, will also know where in your home to install lights in order to create the visibility levels you need and the mood you desire for a space. All lighting specialists in Ashtead, Surrey should be knowledgeable about energy efficient lighting and the technical installation of various lighting systems, so you can ask them for advice when it comes to updating your lighting systems. How can I use lighting manufacturers? As well as lighting designers, Ashtead, Surrey lighting manufacturers may also be able to create bespoke lighting systems that will be designed to fit perfectly with your home, or perhaps if you just want a few key lighting pieces then you can find the Ashtead lighting manufacturers that sell the style you’re looking for. Floor lamps and side lamps are great ways of adding subtle lighting when you don’t want harsh overhead lights, or light sconces on the side of the walls are ideal for traditional, more formal settings, or perhaps you could opt for more unusual sconces that can work as an illuminated wall feature? Manufacturers should be lighting specialists too, so they should be able to advise on which lighting piece would work best where in your house. In the kitchen, pendant lighting is a popular choice to hang over the breakfast bar or dining table and undercabinet lighting is a convenient way of adding more light when preparing meals. Lighting designers and lighting manufacturers in Ashtead, Surrey will be able to professionally install these lighting elements for you, so you won’t need to worry about wiring or positioning bulbs in the right place. Advanced light technology is now easily installed in homes and you can have dimmers, sensors and programmable controls for your lights so that you can use only the energy you need to. Lighting manufacturers and specialists can advise you on the type of light technology you could have installed in your home and the advantages of the different systems available. Lighting designers may work with electricians for installation and interior designers or architects in the planning stage. Here are some related professionals and vendors to complement the work of lighting: Interior Designers, Design & Build, Electricians. How long have you been a lighting designer or in the lighting business? Do you design, manufacture, sell or install lighting? If you only install, can you recommend any good lighting manufacturers? Can you work with my architect/designer on where to install lighting? Do you have any relevant qualifications? What are the costs and what will they cover? Do you work with electricians or are your employees trained? How can I be as energy efficient as possible with my lighting? Do you carry out lighting repair work? Can you advise me on what bulbs are suitable and where to buy them? Find a lighting designer or manufacturer on Houzz. Narrow your search in the Professionals section of the website to Ashtead, Surrey lighting designers and lighting manufacturers. You can also look through Ashtead, Surrey photos by style to find a design you like, then contact the lighting specialists or designer that worked on it.